Hows that resha? 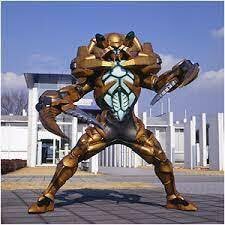 Its higerkun unity recolored arms. Hygerkun's does not split, at least say shade rod or such. Long charge time, pulling effect like lisel's, seem to be stronger. AOE does not last long, 24 force and 250 range only. Work like new corona's I guess. It pulls target toward you, does not pierce even allies. Was planning to take Colleti..but seems someone has already made a demo of her. So took Nebel. and f***ing last two battle garapon and Hi mega gave me blue ball .. anyway here is Nebel. She has hover mode like ilgryps, while ilgryps use his bs she use her WB. Her "Mega Cannon" is available only in her hover mode. Can shoot/use max. 5 bullets at a time and after that 1/2S cd. It also refills boost gauge like CBC. Sub-weapon can lock on 4 target and mark(That bluish aura) targets when hit. Gives "Propellant effect" after hitting marked targets with "Beam Cannon"
"Chargeless burst, allow you to alpha with charging weapon at the cost of 3s cd" - Prisk. Inb4 its the new series of Core tunes and Great Success makes it 2s ._. what is that ? two new moes that don´t have fucked up hair ? wow cb didn´t know that was capable!! wow air girl's playstyle looks almost interesting. I can't wait to see people stick 2 rapid fire guns on her and glide boost in circles above the enemy team. BTW: which Antlion is that??? The BS2 version?!?!?! She can't hold 2 of the same gun becuz one is AM1 only and one is AM2 only so no stellar for you. theia can't equip 2 of the same weapon either yet she is still an alpha 75% of the time. does this not keep a handheld if there is no weapon in that hand? please respond.